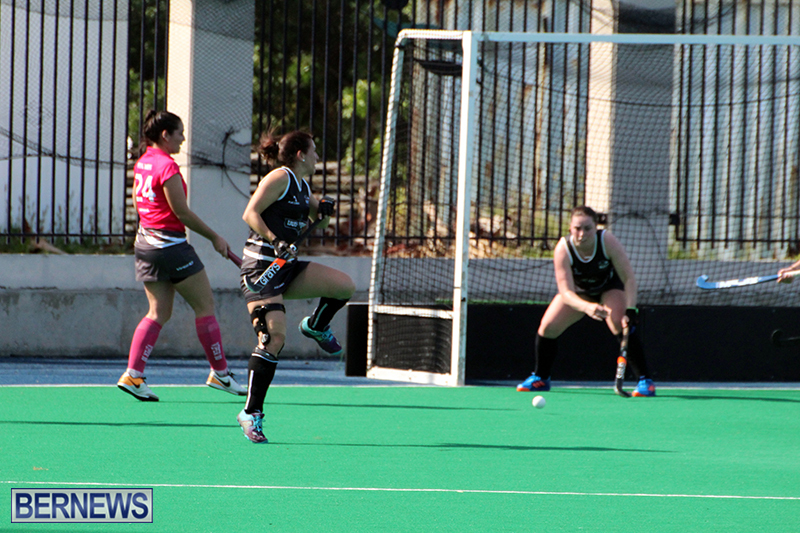 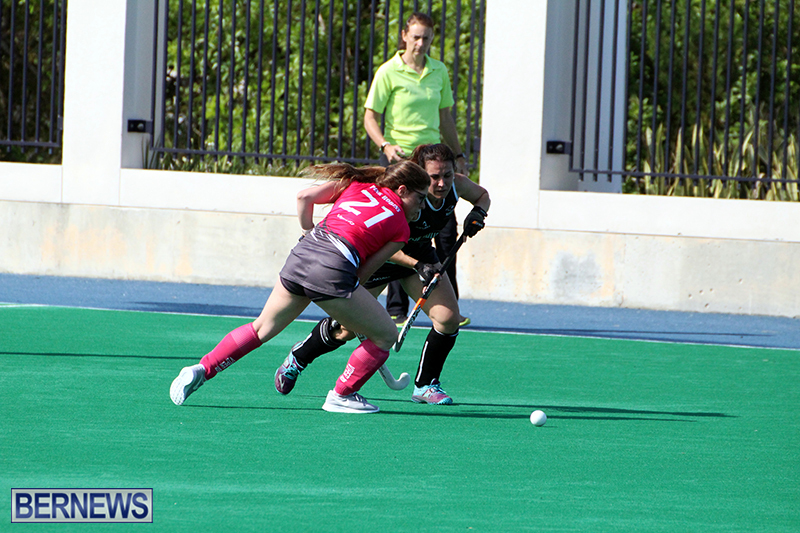 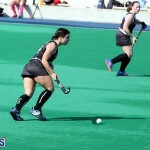 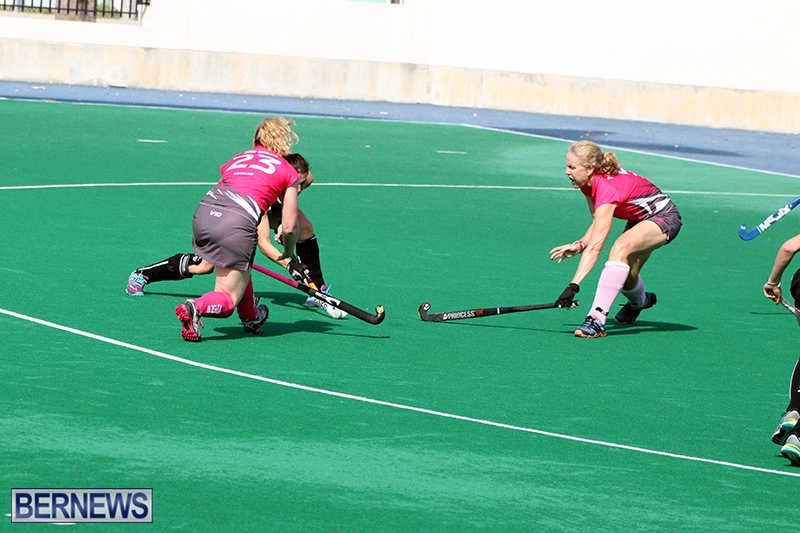 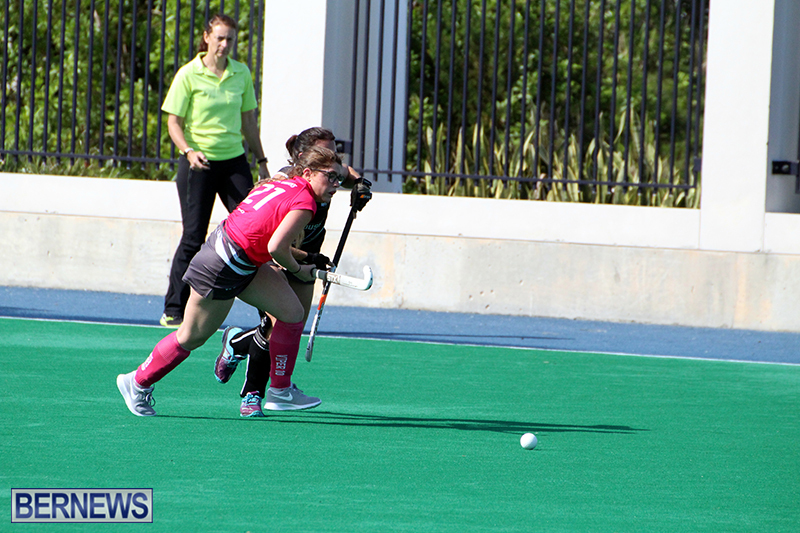 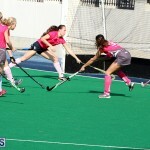 Twenty-two goals were scored in a recent Bermuda Field Hockey triple-header at the National Sports Center. 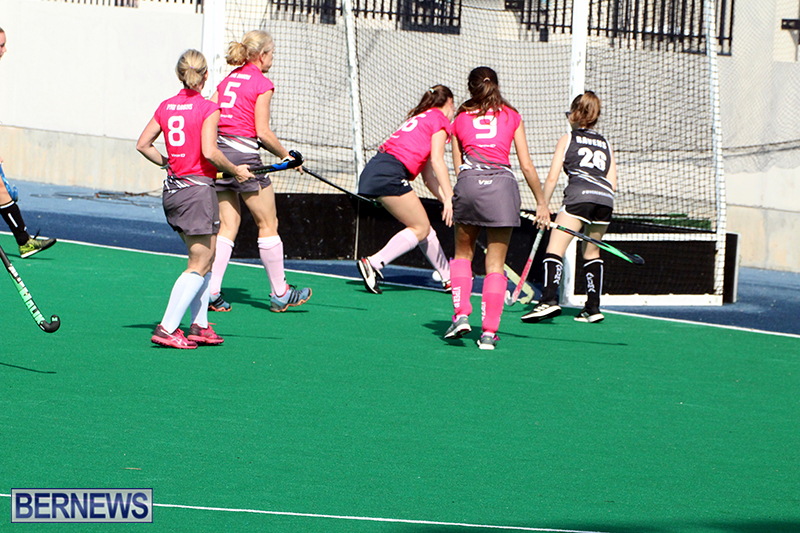 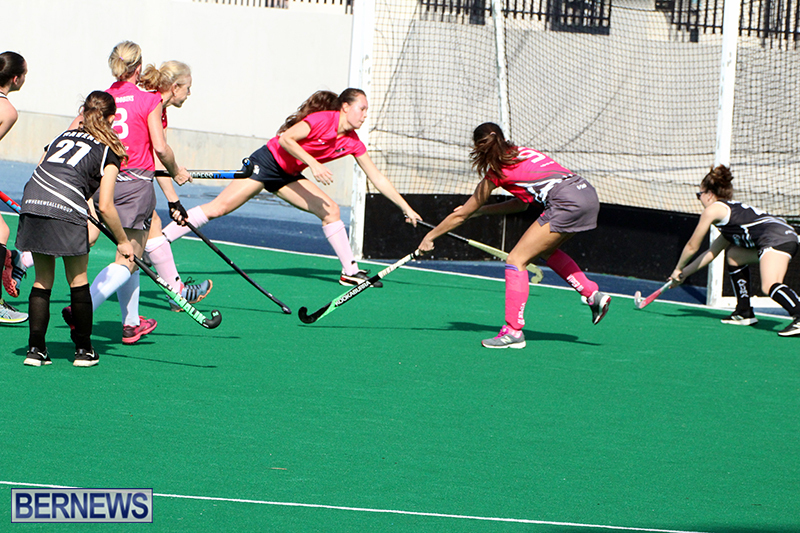 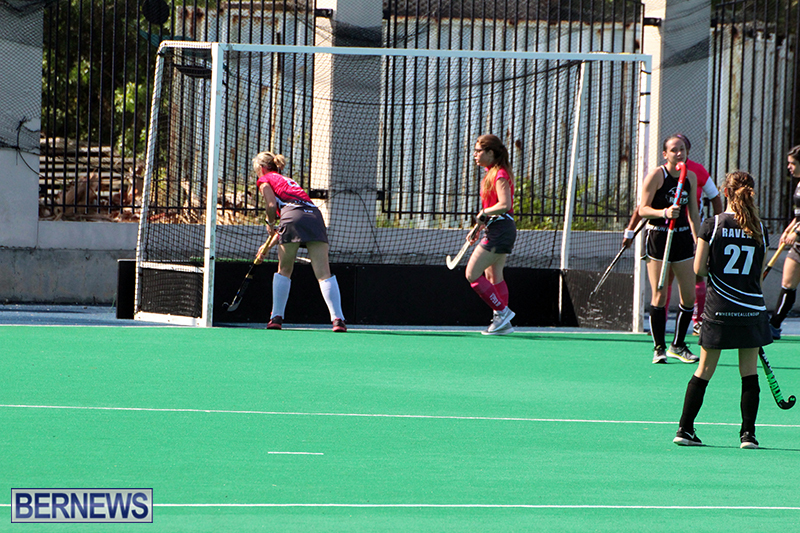 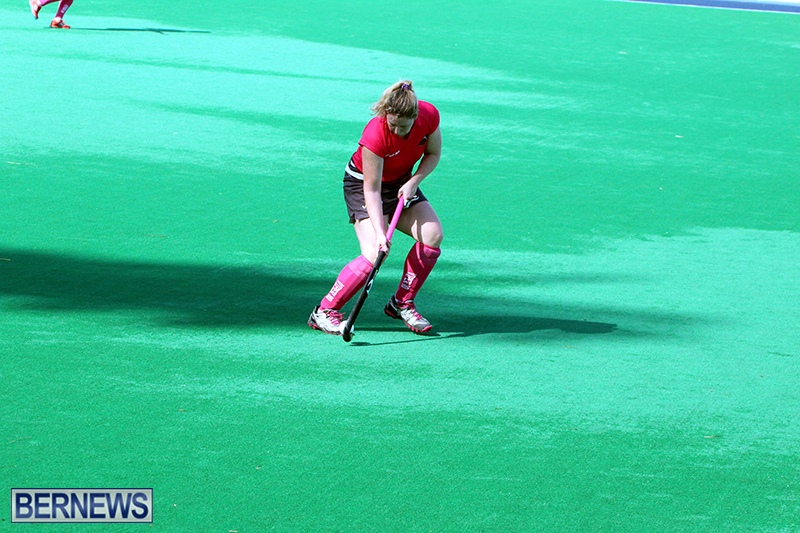 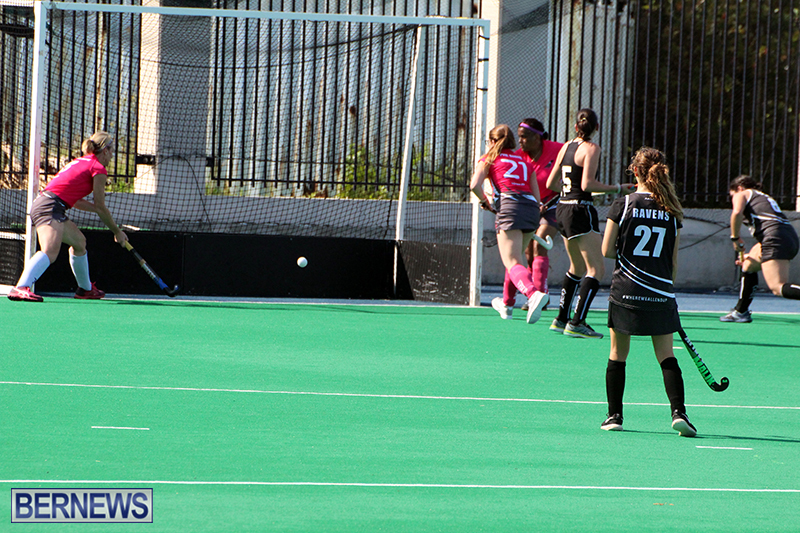 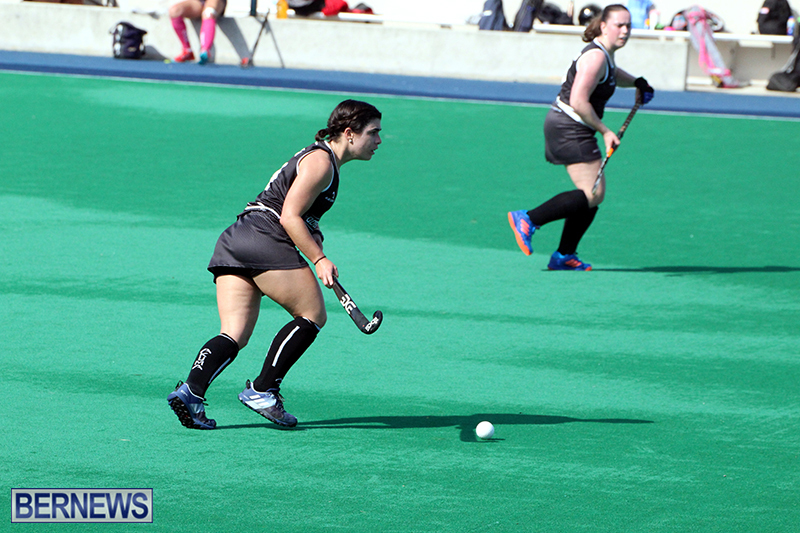 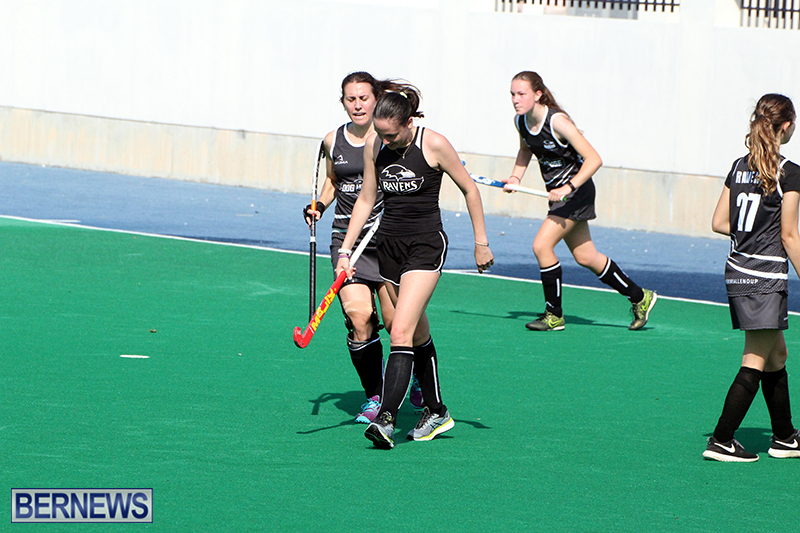 The Pink Robins got two goals off the stick of Tish Hullinan to go along with single strikes from Jennifer Chisnell, Elizabeth Stewart and Lexi Di Angelo, while the Ravens got single strikes from Isabel Roe, Maci Aicardi, Jessica Hollis and Jess McClure. 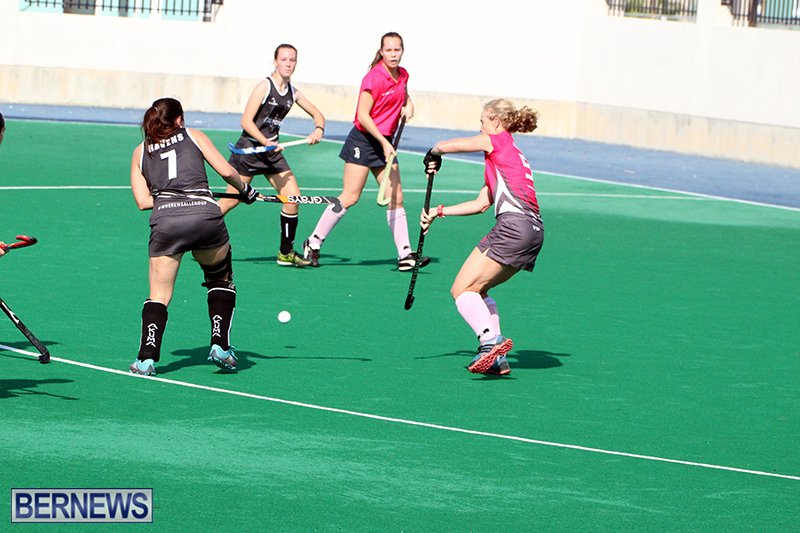 The Budgies next defeated the Canaries 5 – 1. 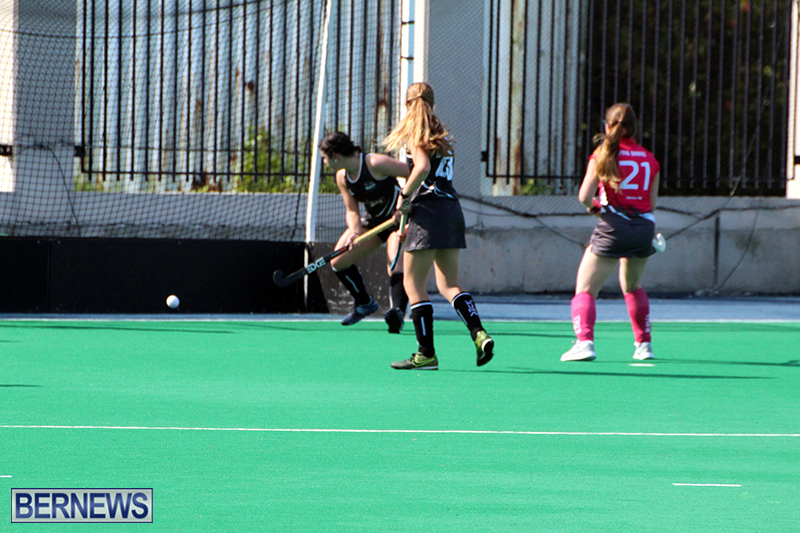 The Budgies got four goals from Kascia DeSilva and a single strike from Francesca Cacace, while Antoinette Williams scored the lone goal for the Canaries. 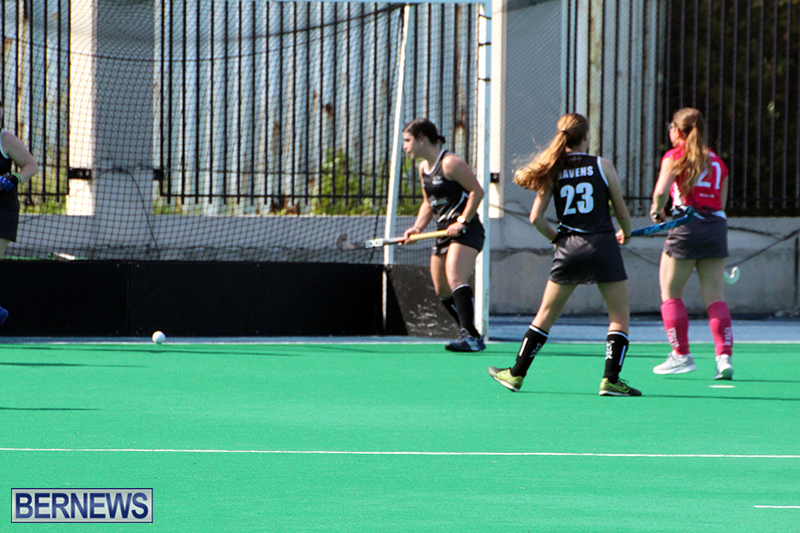 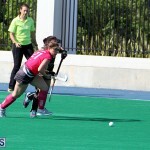 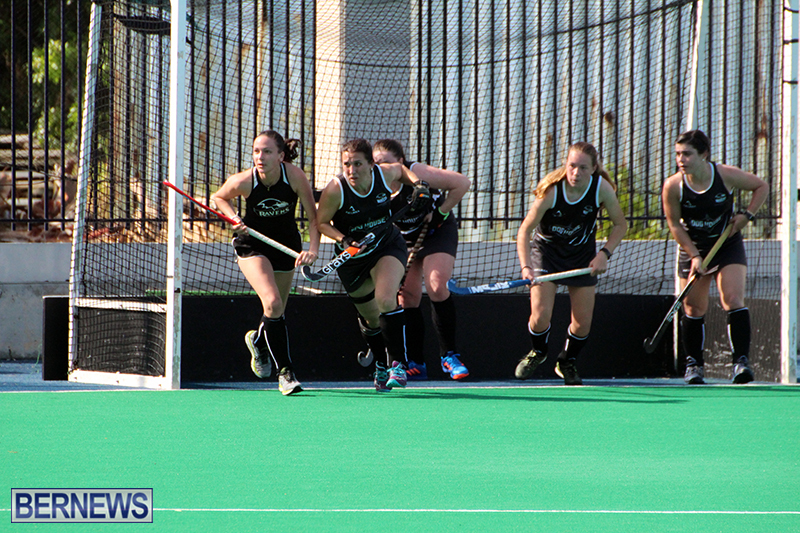 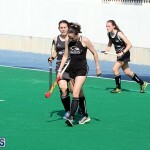 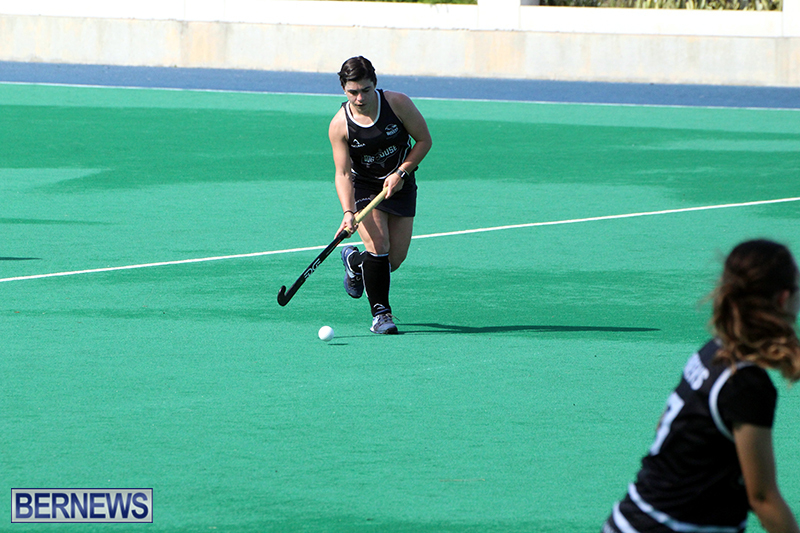 Alex Godet led the Under 21 National team with two goals, while Isabel Roe and Robbie Patterson added the others; Heather Sinclair scored twice for the Mixed B Team and Harry Kodiman added the other.